Apologies for the long break since the last post – my past few weeks were filled with eating, sleeping, working, getting the flat ready for Christmas, sleeping, working, buying presents and not much more – no time seemed to be left for my brain to creatively think of something to write. 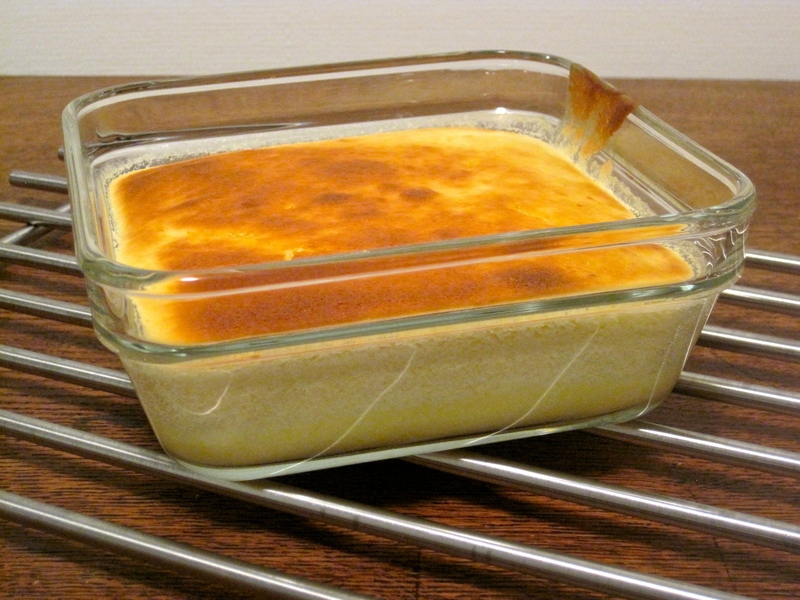 With that in mind I thought I’d reveal a classic winner of wintery indulgent desserts – a self saucing lemon pudding. It’s a favourite in my family, simple to make and always hits the spot after any meal. Perfect for frosty winter days. Not to forget – it also looks impressive and fools guests into thinking you puts lots of effort into making a lemon curd and a sponge topping. Little do they know the two are a result of one quick mixture….. So, if you forgot to make a Christmas pudding two months ago, why not give this dessert a go as an alternative for the 25th December – I’m sure everyone will love it!